Simultaneous interpreting in a booth is the most reliable interpretation method. There are two kinds of interpretation booths: permanentand itinerant. These interpreters’ booths are solid. They are, for the most part, found in European institutions or in convention centers such as ‘The Square’ in Brussels. They are well- designed, provide superior soundproofing to itinerant booths and are ideally positioned in the room or hall to allow interpreters to see both the screen and the speakers. They are also larger, and in certain institutions can accommodate up to four conference interpreters. Itinerant booths are designed for simultaneous translation where no permanent booths exist. These booths are delivered in kit form by our technicians and are regularly installed for one-off events in hotels, businesses, etc. We use Audipack portable booths complying with the 4043 ISO standard. 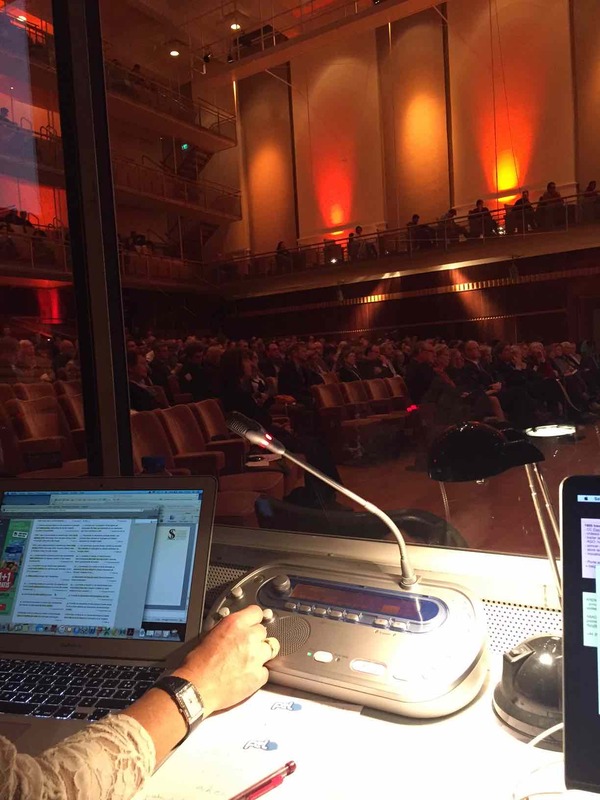 Colingua is a translation and conference interpretation company (simultaneous translation) created in 2000 working in Belgium, France, Luxembourg and across the rest of Europe. Our translation service is entirely managed by professional translators and interpreters. Colingua is a sector leader in Brussels and the Province of Liège.